Stand out at any occasion with this personalised horse racing colours (colors) pendant and chain. 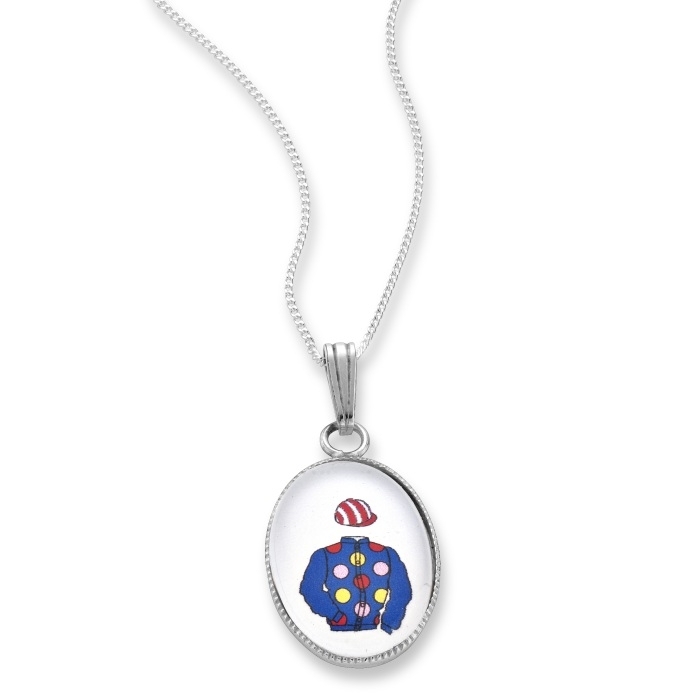 Available in sterling silver, 18ct gold plate or 9ct gold, this beautifully crafted pendant and chain is a perfect gift for the equestrian enthusiast and can be in-laid with your own personal racing colours (colors). The pendant measures 18mm x 13mm and the chain measures 40cm and as with all our equestrian jewellery (jewelry), comes presented in our black leatherette presentation box.